Apple’s plotted navigation into the consumer services market should generate a lot of cash for the company, but enterprises in the media space will be asking for a little more than the company customarily gives. Apple is expected to introduce its Texture-based news and magazine service next year. This will probably cost $9.99 for all-you-can-eat access to most things, potentially with certain charging models for some titles and special supplements. There may be a few problems Apple must solve, though. When it comes to app sales, everyone seems pretty happy to pay Apple for the convenience of highly secure curated content. Apple gets to take a cut, and everybody’s data is kept relatively secure (and where it isn’t, Apple appears to be working on it). This Modus Operandi grew out of how Apple offered music, television, and movie shows through iTunes, when it started taking three-tenths of the cost to pay for things such as bandwidth, processing, and bill payments. The argument then was that Apple added value. We’ve seen that model hit some criticism in recent months, as the sheer scale of the store and sales made through it mean many content creators feel that 30 percent is too much to charge. There’s an ongoing court case on this matter. Apple can, of course, argue that what it brings to the party in that percentage is access to a huge customer base, and you can’t discount the billions it has paid to developers and various kinds of content creators so far. The other side of the service is connection. When you purchase an app from a developer online, you used to create a personal relationship with that developer. That’s not what happens on Apple’s stores, as Apple stands in between you and the person who created the content you use. That’s fine for most things — I don’t expect to develop a personal relationship with a DVD manufacturer, TV producer, or record label, and I’ll probably turn to a service like Twitter to build a relationship or just follow an artist, writer, or actor. However, it’s a little different for other forms of content, particularly newspapers and magazines. Both of these forms of content need their own private and personal relationships with readers, who become their champions, their barometers of accuracy, their sources, critics and customers. We also know that the business model of more traditional media is built around highly segmented customer development and retention — advertisers pay to get their message into the eyes of the loyal cohorts those media build. 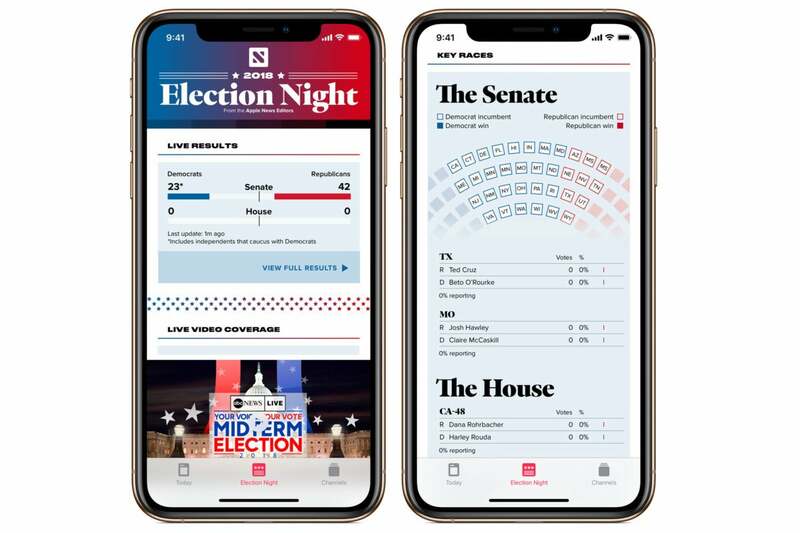 The problem is — at least in Apple News and other Apple services — there’s no clear route by which publishers can assemble the kind of granular information about their readers they expect to build when publishing online or in print. This puts Apple in the middle of the relationship with readers, which interrupts the personal communication you really need to build a good media outlet. It also leaves a social vacuum into which the many peddlers of fake news and prejudice-driven opinion can easily climb. There are some good reasons for Apple to put some barriers in these relationships. Privacy, security, and the ease with which some audience analytics companies were allegedly able to manufacture opinion in key elections are real problems. The tech industry is under pressure to find tech solutions to help mitigate the impact of such bad actors on public discourse. Events have proved that the same audience data gathered in relatively good faith by some online advertising giants can be abused. Returning to Apple, all the feedback I’ve heard is that publishers offering their content through Apple News aren’t making a great deal of cash in comparison to other services, which is dampening their enthusiasm to sign up for it — though they do like the huge readership it brings. Who is reading our stuff? Why do you take so much money and how does it help us write better stories? Where’s your investment in journalism? These three key questions will need to be properly resolved for the service to really succeed. There are plenty of reasons the service should succeed, of course there are. I think millions of happy Apple customers (including thousands of journalists) will want to be part of it. However, if the content creators (publishers, journalists, leafleteers, pamphleteers, and all the other people protected by the First Amendment) can’t make a sustainable living from offering content through the service, it will become a philosophical desert occupied only by well-heeled media brands purveying a limited bandwidth of sentiment. When it comes to this particular new media service, Apple Vice President Eddy Cue will need to decide whether its goals will be to nurture diversity or to encourage further media consolidation.